It was a beautiful afternoon in Ubud, where mother nature plays its music. The sound of skylark, the sound of dove, and the pitter patter rhythm of the rain. For us staying in urban city, the exotic nature is a luxury by itself. With our freewill souls, we immediately explore Ubud after we came back from the short trip to Danau Batur in the morning. As a fan of bakery, I would not miss the taste of fresh local bread for (sort of late) tea time. Our driver drove us to Kakiang bakery & cafe (Pengosekan street) where I got my coffee, meat bun and the delicious cookies fresh from the oven. 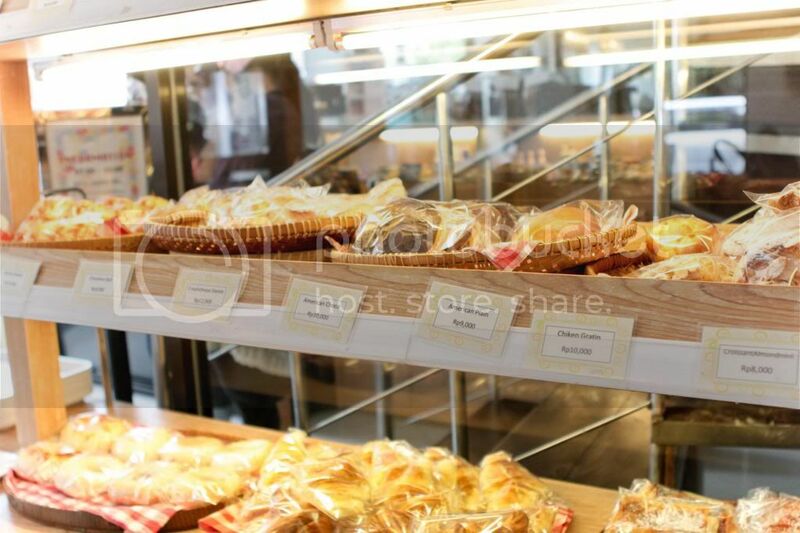 The little store itself looks modern, the name is not so commercial (think of bread talk in jakarta) but their creation is a bliss. Me and my friend started our journey along the Road of Hanoman. 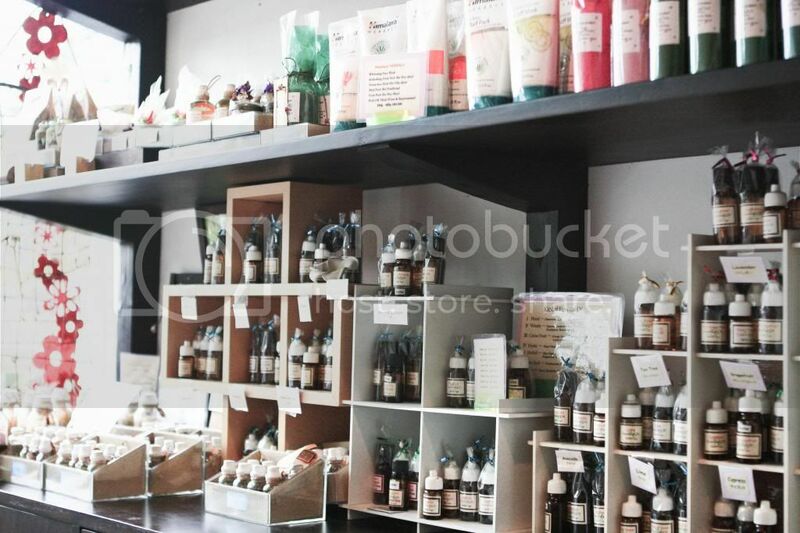 Both of us are big fan of aroma therapy, and yet this is one of our favourite store in Ubud, Buttercup. From refreshing ginger soap to sultry rose aromatherapy oil, and the calming lavender massage oil, the store got it all. I can't help but getting some face mask, soap, and oil home. 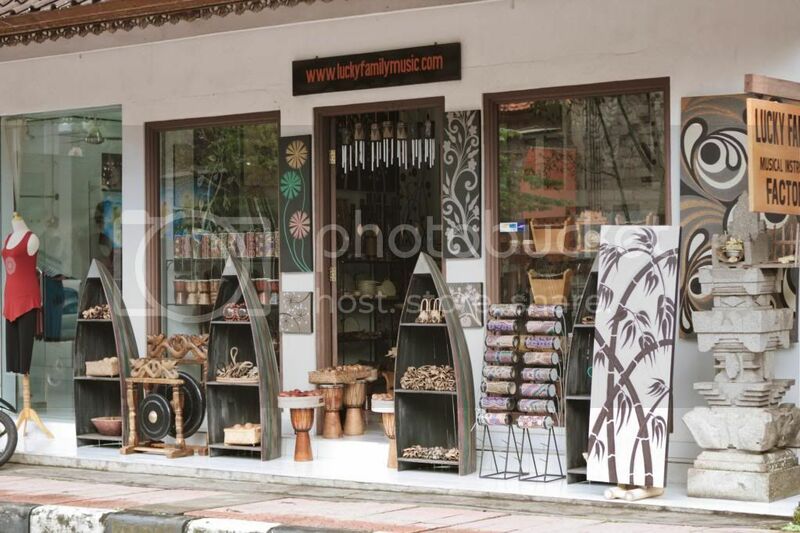 There are many many stores selling fashion merchandises as well as local handicrafts along this road. You must bargain whenever possible (when the exact price is not printed in the label) especially if you're a foreigner. We spent time going to one store after another. 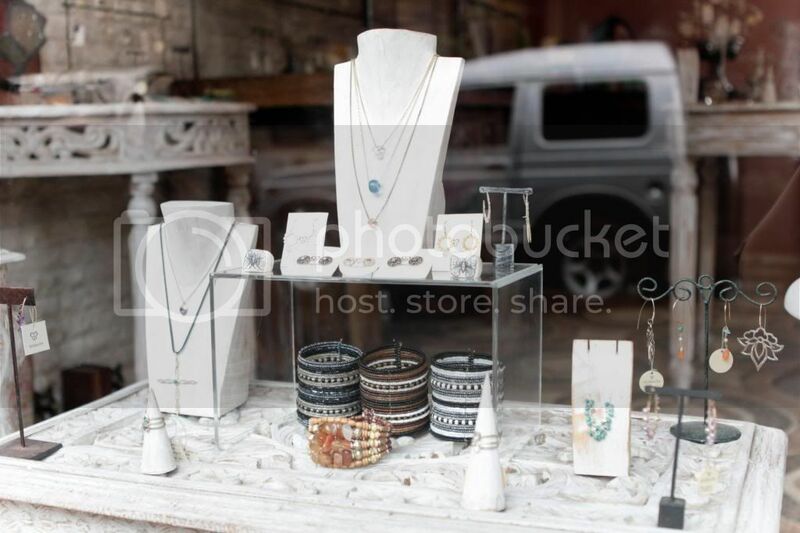 Another worth visiting place is a concept store (quite near to Buttercup) that sells natural rock like quartz which is believed to enchance your aura. 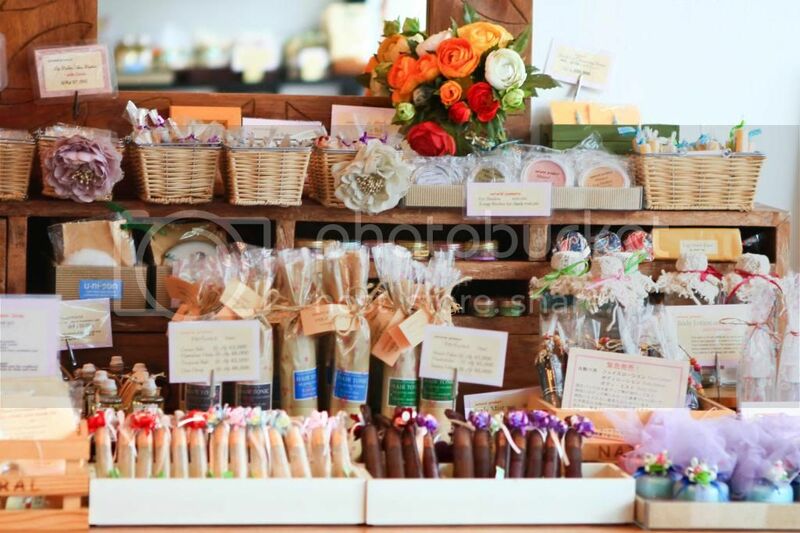 Across the street, there is Clear Cafe selling cookies and sponge cakes in so many varieties, perfect for your dietary needs. The cafe also serves healthy and vegetarian food. We got ourself the banana walnut sponge cake (+-17k each). 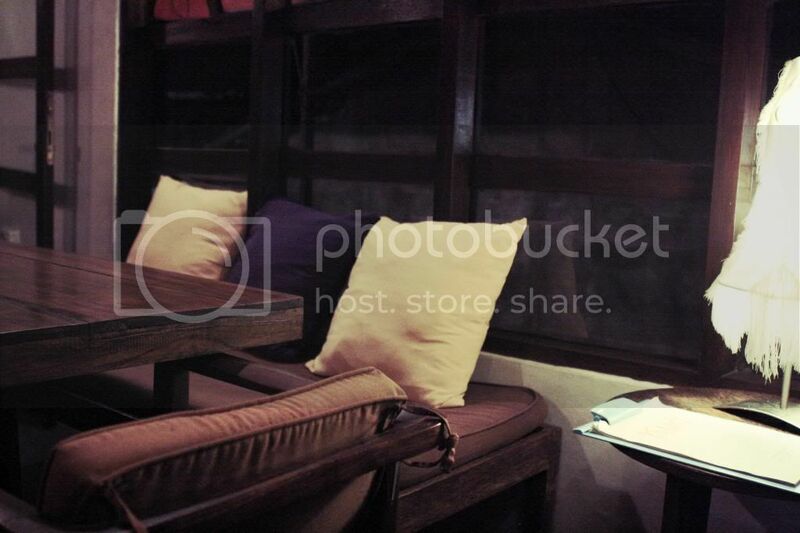 If you have some time you have to try Taksu restaurant too. As the sky is getting darker, we head to the famous Bebek Bengil restaurant for dinner. 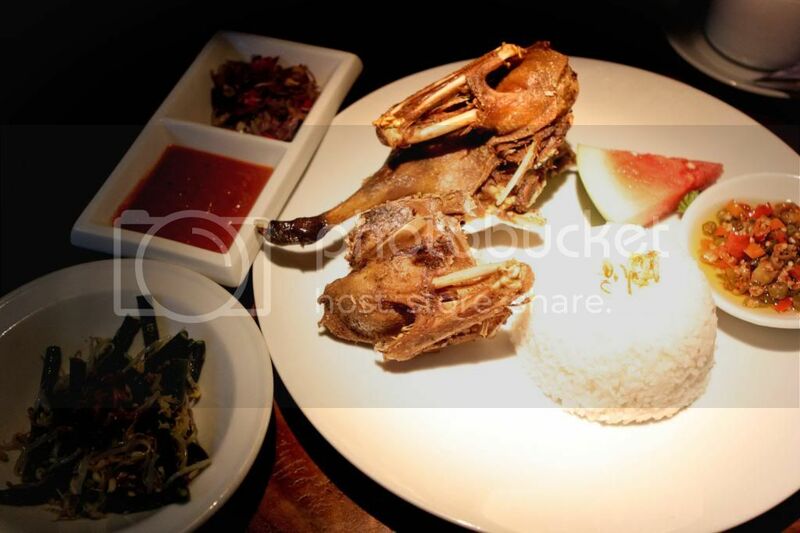 Bebek Bengil stands for dirty/naughty duck which comes from the event whereby the ducks with dirty feet from the padi field walked across the restaurant before they opened. The crispy duck set meal (crispy until the bone is too) costs about 75k a plate, but it's so nice the taste lingers in your mouth. Been having lack of sleep for the whole week. I just want to relax this weekend. It all looks so beautiful. Love the first picture. 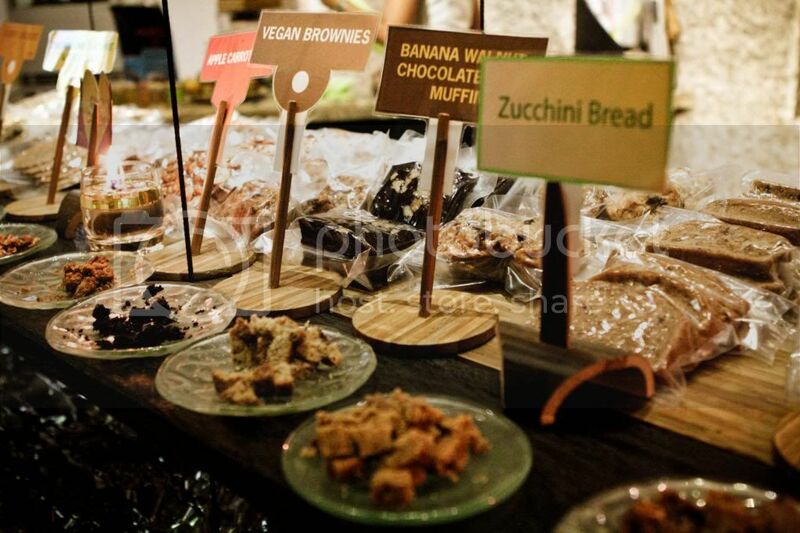 Amazing photos, darling, especially the food ~ yum! Beautiful photos! Dying to visit Ubud, Bali! omg thats just amazing. i wanna go! beautiful photos! 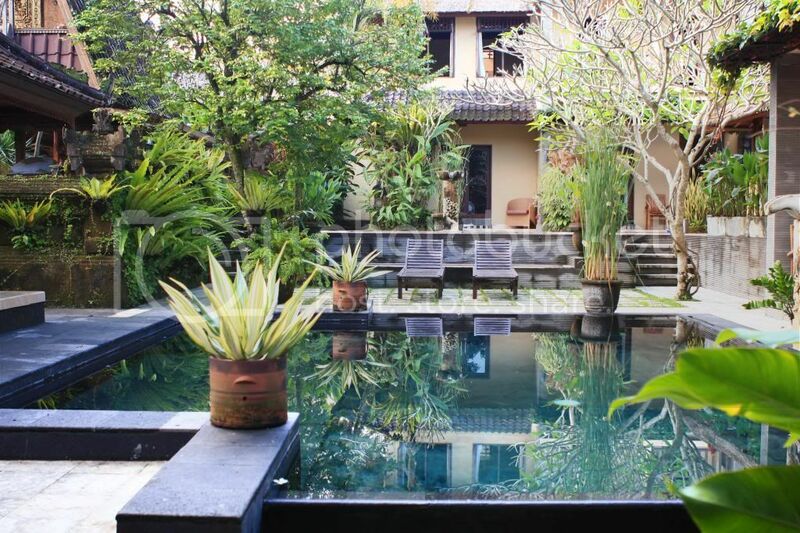 I'm so jealous - wish I was in Ubud now too..
Fhen, you make me miss Bali soooo bad! A very pleasant photos! 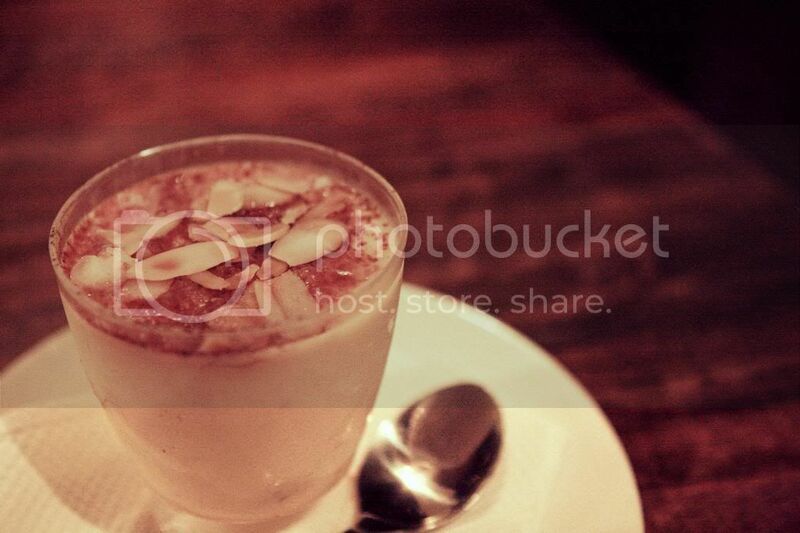 It always a pleasure to see beautifully snapped pics on your blog! Btw, I miss you millions tme! haha hope I could sneak a time to drop by SG! Just stumbled across your blog, I love it. Wanna follow each other via GFC or Bloglovin? Let me know if you want to and I'll follow you back straight away. awesome place! i think this year will go to Bali! Thank you for your comment! I follow you back now! omgosh amazing!! the photos are gorgeous! the first photo of the resort is gorgeous! It's always a pleasure to discover nice blogs such as yours ! I am your new follower in GFC. BTW Those are nice photos! PS you are more then welcome to join TOPSHOP ( LOVE ) sponsored GIVEAWAY on my blog right now ! Just follow couple of easy steps and win any item of your choice from their collection delivered to you all for free ! you stayed in a place with a view this amazing? I'm so jealous haha! it all looks very serene and beautiful. I was planning on going to Ubud last Summer, but somehow it didn't work out. Looks freaking awesome, thanks for sharing these :)! Thanks for following and commenting, I really appreciate it :). Following you right back! I love your blog!I'm following you,can you follow me please? oh these photos are so lovely! hello beautiful fhenny! i really appreciate your sweet words on my blog. i have to say that you have a very interesting blog and i'm already following you dear!! wow great photos & post! wow these pictures are amazing, so beautiful! woww it looks beautiful there! and the food! such a nice place to go and relax it seems! Oh wow! Everything looks so pretty and sounds relaxing! I love this travel post, I literally feel like I escaped for a moment on a quick vacation by teleportation! I wish I could have tasted that delicious food and bought a few natural crystals! These photos are incredible! 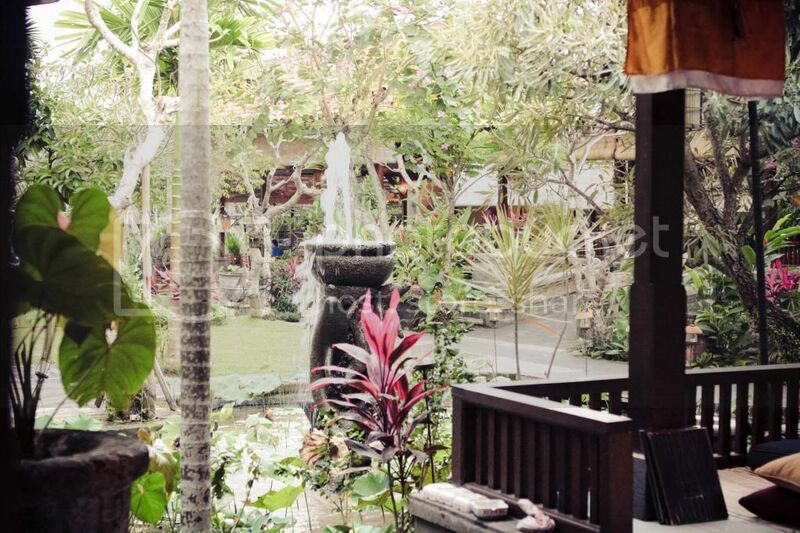 I've been wanting to visit Bali for the longest time and these pictures are not helping! I'm so glad I stumbled across your blog, following your future adventures from now on. LOVE this post so much! It makes me want to visit Bali =D Do you have twitter by any chance? looks incredible. would love to get there someday. Beautiful photos.. Looks like an absolutely amazing place! Dreamy..
Omg! This post really makes me feel to go to Bali! How I miss Bali..
loving all the travel images!!! 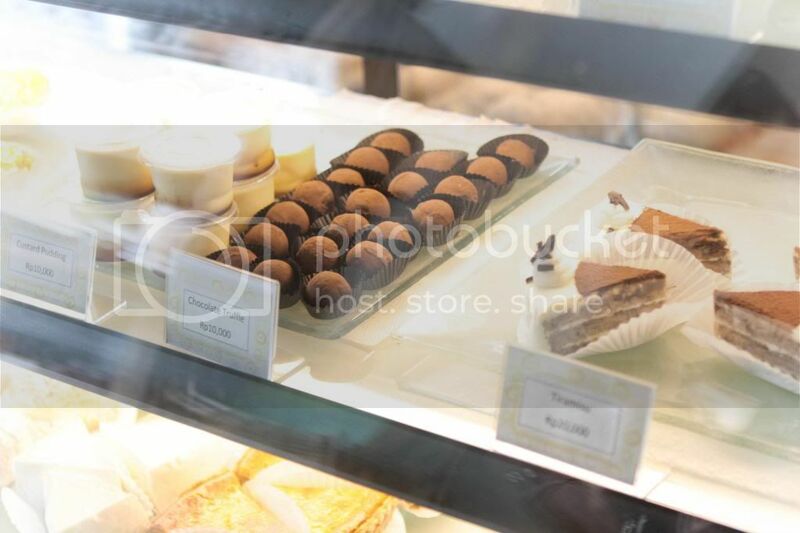 the cafes/bakeries you've been visiting seems to have the most delish of baked goods!! :D great stuff!! Would you like to follow each other? Check my blog and let me know! I would love it! All the food looks yummy & that pool is gorgeous! 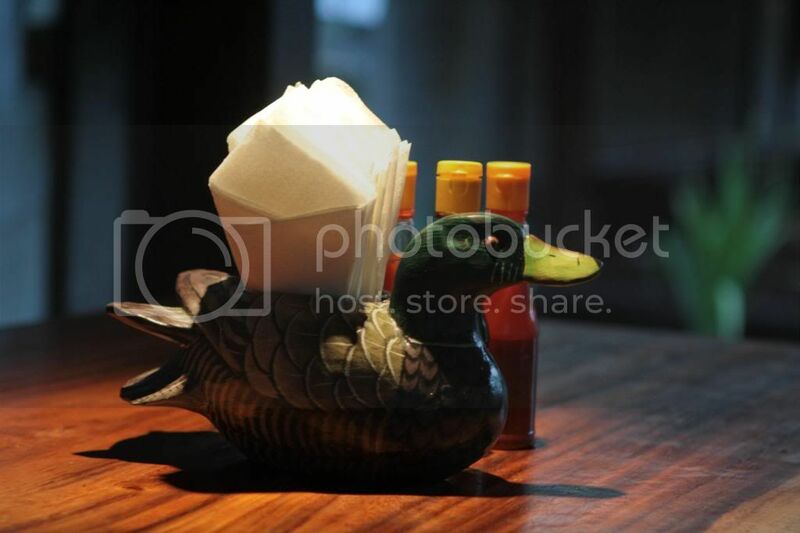 Bet you felt bad eating duck with that cute duck napkin holder staring at you with it's beady eyes!